Dear friends school complex meetings are going to be conducted in this month.I have so many calls from our teacher friends to provide school complex full details. So here I am sharing school complex full details which i got from our officials. 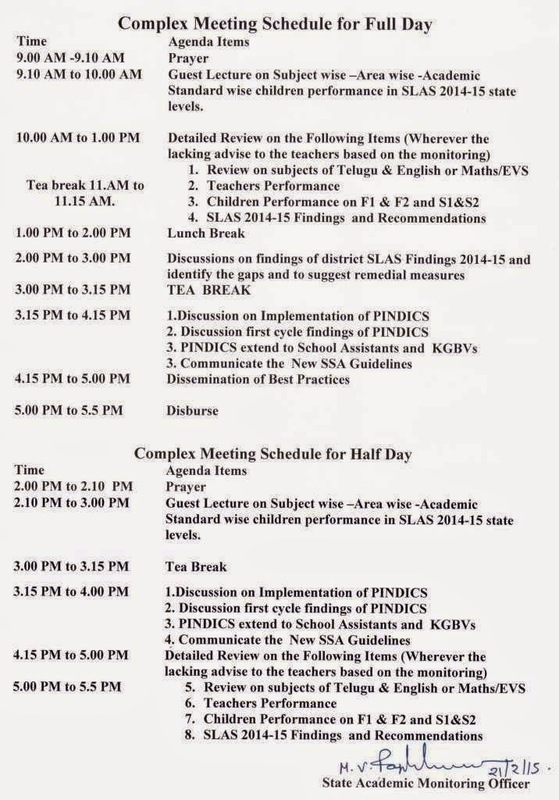 So dear friends with these full details of school complex, make success our school complex meetings.